Should You Actually Buy Your Child a Drone? Drones are now being used for everything from speedy package delivery to aiding architects and engineers in tackling complex construction tasks. Of course, drones were once limited to military usage, but they are now used by thousands of hobbysists to create eye-catching aerial video footage, too. Many children and teens are also big fans of this flying tech, prompting many of kids to ask their parents for an unmanned aerial vehicle to play with. The question is: should you buy a drone for your kid? And if so, how should you go about it? The drone market has significantly increased in recent years, although not all parents are on board with the idea. Considering that the average 10-year-old already owns 238 toys, many parents may consider this expenditure to be wholly unnecessary. But for families that might want to invest in a drone or quadcopter, buying a drone may be a good call. These flying machines can help encourage your child's growing interest in technology. Plus, they will encourage your kids to spend less time staring at screens and more time playing outside. Of course, as with any new toy or gadget, you'll need to do some research before you buy. One thing parents want to know is whether drones are actually safe for kids to use. Ultimately, the answer depends on how old the child is, what kind of drone is being used, and under what circumstances the drone will be flown. 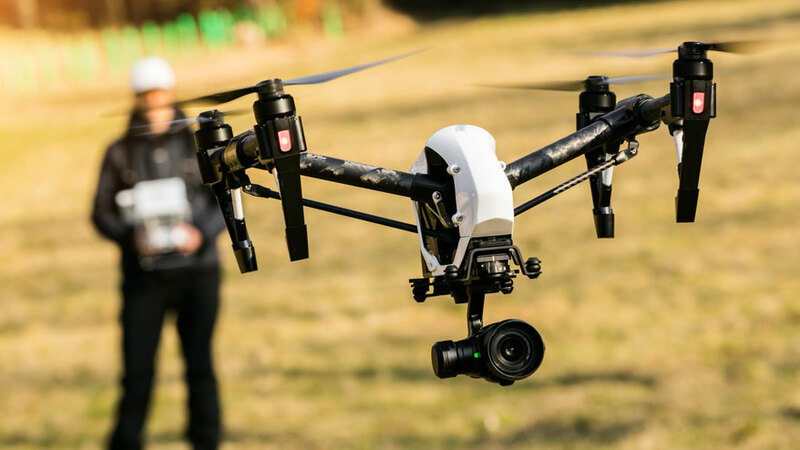 Most experts recommend that children under the age of eight should not use drones, as these complex pieces of technology could easily injure younger children if they use the drone improperly. The spinning rotors can cause damage to the skin or eyes. In addition, a falling drone can cause blunt force trauma if your son or daughter is in the line of fire. There are certain types of drones, however, that may be suitable for children over the age of eight to use. So-called "toy drones," which are still considered serious equipment rather than actual toys, can be a good first introduction to this technology. Many of these toy drones may be smaller than the average drone you'll find for adults, while some are designed to be used indoors. Most are easier to operate than a regular drone, which can be an appealing choice for kids and teens. That said, it's still up to the parent to evaluate whether the child in question is ready to use a drone responsibly and safely. Most drones cannot be classified as toys, though there are many that may be appropriate for older children and teens to use -- as long as they are supervised while doing so. Keep in mind that in the U.S., a drone owner must be aged 13 or above to register a drone with the Federal Aviation Administration. This registration is actually a requirement and there are also regulations pertaining to how drones can be used. They must stay within your line of sight and fly below 400 feet above the ground. They must never be flown within five miles of an airport, either. As long as you follow all drone regulations and ensure your child never flies or handles a drone without you being present, you probably won't have too much to worry about. Still, not all parents are convinced that this expenditure is a necessary one. Drones can vary widely in price, with some toy models costing around $30 and professional versions costing $400 or more. If you do decide to buy one for your child, you'll need to evaluate the safety ratings, consider the price, and decide whether your kid is mature enough for this level of responsibility. In the end, it's a good thing if your kid is excited about drones; it could mean that they have a passion for STEM subjects, which parents should want to encourage. But before you take the plunge, make sure that they're really ready -- and that you're on board with making the investment.